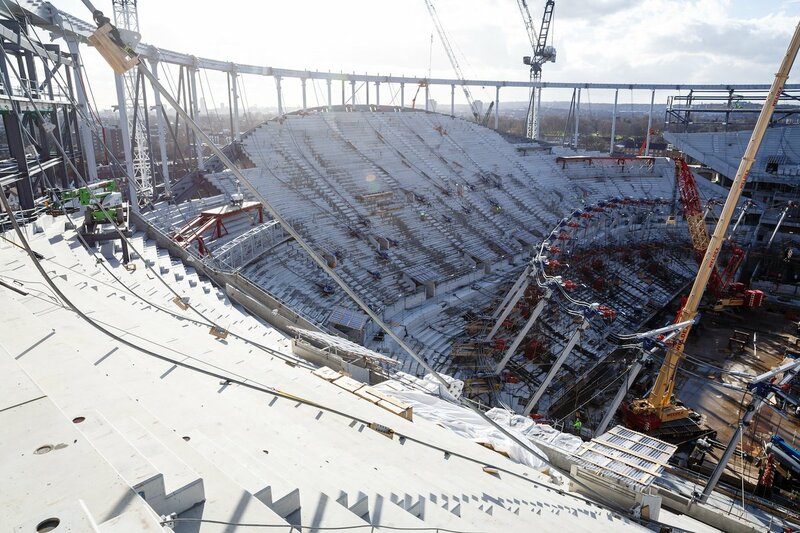 Tottenham Hotspur’s new stadium appears to be taking shape following the completion of the compression ring, the final step before the stadium’s roof structure is raised into place. 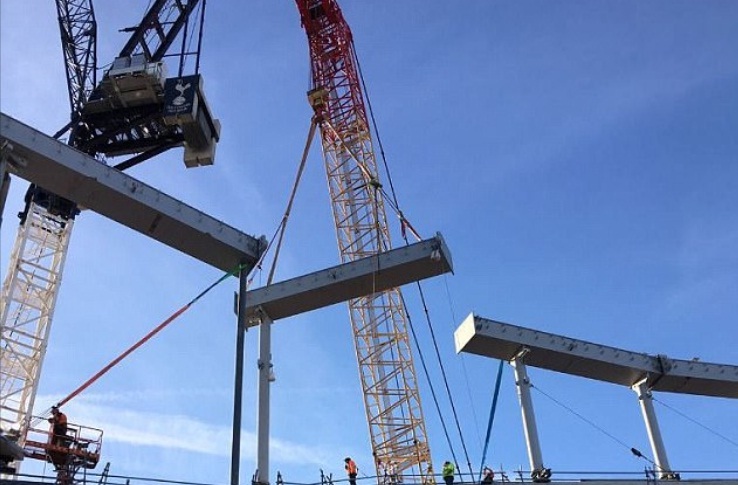 Spurs’ official Twitter account shared three brand-new images to indicate the completion of the North Stand eaves. The images shared by our club look incredible as we prepare to move to our new £850mhome at the start of next season. The compression ring sits at the back of the four stands and will hold the cable net roof structure. 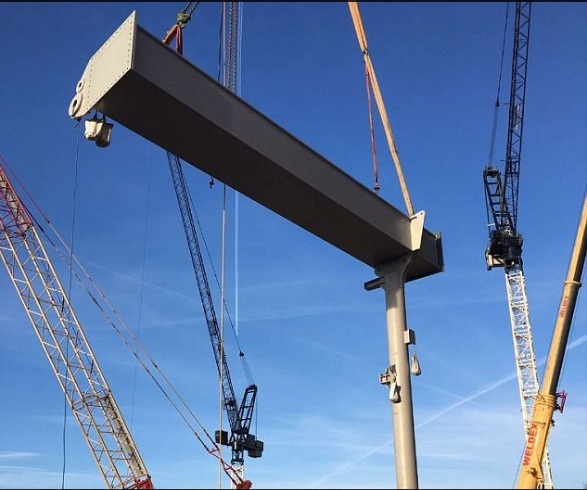 There are enormous columns being lifted into place around the new Tottenham stadium. The whole process will take a long time and is dependent on weather conditions. Once the process is completed, the roof will be the highest point of our new home. The roof consists of 287 glass roof sections and 810 roof cassettes fitted into the new stadium, with the membrane facing the sky. 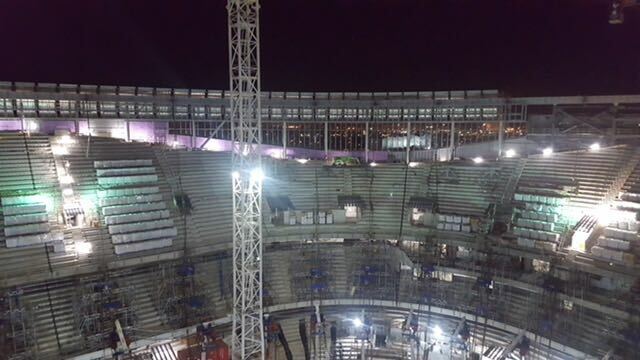 The roof cable structure will weigh 600 tonnes and floodlights for night matches will also be attached, with 324 LED sports lights to beautify the structure in total. The latest update suggests our club are very much on track in terms of the stadium’s completion date. The ground will boast of more than 61,000-capacity and will also host the first NFL game between the Seattle Seahawks and the Oakland Raiders on October 14. This suggests there is an added pressure on the workers to ensure the reconstruction is complete before the due date. After Spurs broke the news of the completion of the North Stand on Twitter, here is how our fans reacted.